You are a newly started record company. You have released a couple of singles and/or albums. Now you are getting different reports and money from your physical and digital distributors. You have been lucky and managed to get one title on a 3rd party compilation. You have also received a royalty statement from them. The reports and statements you receive include a lot of information, but they all look different. Your artists and/or producers want their royalties for these sales and they want them NOW! So you have to decide what to do. Either, you decide to do it yourself by digging into the huge digital sales files, trying to find all the titles that are to be accounted. You have to read and interpret all other statements as well. However, you first have to check all the incoming royalty statements – are they correct? You have to read the distribution and licensing agreements. 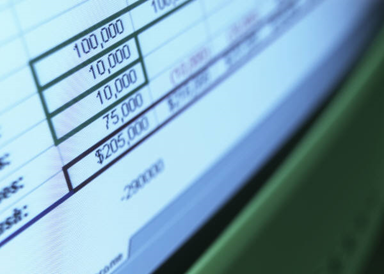 Now you can start accounting, probably using Excel, a program you are familiar with. Now you have to figure out what base price you should use. Is it the same for the artist and the producer? You need to check all their agreements – what do they say? Should it be accounted as net sales? What was the distributor allowed to deduct? Were there different royalty percentages on different kinds of sales? And what about physical sales? What do the agreements stipulate with regard to 3rd party compilations? You are even more lucky, so your album has been sold in a lot of territories, but should sales in different countries be accounted differently? You decide to let someone with more than 30 years of experience in the field of royalty accounting help you out. You call Helene at Larson:s and together we set routines for you so that Larson:s can produce statements using the well-known business system Royalty Producer. Your artists and producers will receive professional statements, all presented with your Company name and logotype.